Assign the reference to variable. 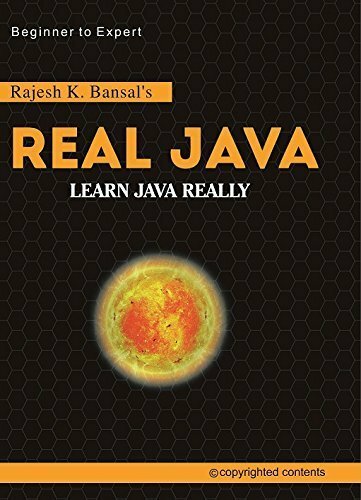 Tells the JVM to allocate the space to a reference variable S. This reference variable may be a Local Reference Variable(LRV) or Instance Reference Variable(IRV). 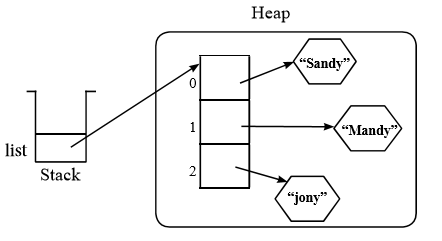 If it is a local reference variable, it will occupy space on stack whereas an instance reference variable occupies space within an instance on heap. 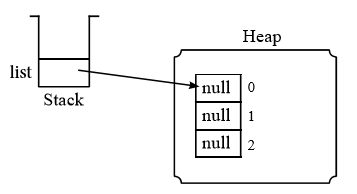 Its an instruction to the JVM for allocating space to the object on the heap. The assignment operator (=) gives the control of object to reference variable by assigning its address. Now, we can call methods and use member variables using the reference variable. The address contained by S is known as reference value. Scope of a local reference variable(LRV) is limited as compare to instance reference variable(IRV), because, it can be used within the particular method, whereas, the IRV is accessible within all the methods of a class. Instance reference variable(IRV) will be retained in the memory till the containing object is alive. An object can stay alive till it is having reference variable or if no reference variable exist then until it is garbage collected. Arrays occupy storage space on heap e.g.